Endometrial cancer treatment has various methods, including operation, radiotherapy, chemotherapy, Chinese medicine treatment and natural therapy. 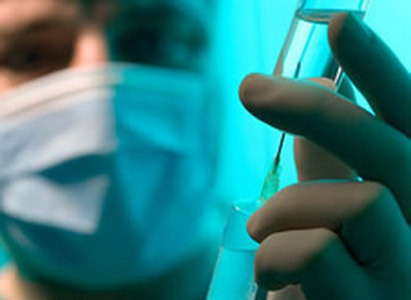 Experts of Modern Cancer Hospital Guangzhou pointed out, endometrial cancer treatment should not unilaterally rely on local treatment or a single treatment method, instead, integrated applications which may include several treatment methods, such as operation, radiotherapy, chemotherapy, minimally invasive or other treatment methods, shall be carried out as per patient's actual condition to achieve the best therapeutic effect. 2. Radiotherapy: as endometrial cancer is sensitive to radiotherapy, so radiotherapy can achieve a radical effect for these patients of stage I/II who are not willing to receive surgery; while for advanced endometrial cancer patients, radiotherapy alone may not impose good effects, however, some elderly patients may be weak or also have other severe internal diseases so that they may not be able to receive surgery, in such case, radiotherapy is usually conducted through intracavity or extracorporeal irradiation, and also can achieve good therapeutic effect. 3. Chemotherapy: it is usually applied for advanced stage patients who cannot perform surgery or radiotherapy or these patients reoccur after treatment. 4. Chinese medicine treatment: patients with endometrial cancer often have poor physical quality and low immunity, so they may easily be affected by other infections. If Chinese medicines is given after surgery, they would regulate equilibrium and strengthen body resistance, induct the differentiation and apoptosis of cells without harm to normal tissue so that improve patients’ debilitation status. Combining TCM with western medicines, the therapeutic effect shall be magnified and exceed the effect of single therapy. Natural therapy in the treatment of endometrial cancer can completely remove small lesions of endometrial cancer in blood or lymph after surgery and prevent endometrial cancer recurrence and metastasis. If natural therapy is given at the same of or after chemotherapy, it can effectively reduce the toxic reaction of chemotherapy, increase the number of white blood cells and enhance immune function, thus ensure smooth implementation of chemotherapy. Experts of Modern Cancer Hospital Guangzhou point out that, if diagnosed with endometrial cancer, patients can go to Modern Cancer Hospital Guangzhou for treatment where experts would design customized treatment plan as per the actual condition.